If your child is already bilingual in English and Spanish, you may be looking into other languages for kids. Children that are lucky enough to be given a solid education in English and Spanish from a very early age can pick up a third language easily. The big question is: If you could be bilingual, which third language would you choose? What other languages for kids would you choose? Mandarin has become a popular third language choice among bicultural and bilingual families. Chinese classes are offered as after school activities in many private schools in Madrid. 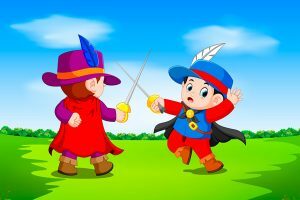 Enjoy Mandarin has built up a solid reputation for providing a complete and comprehensive introduction to Chinese language and culture for children as young as six months old. Enjoy Mandarin places special emphasis on the fun element of learning a language that is so completely different to romance languages. 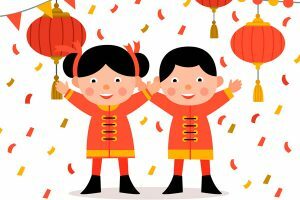 They offer a wide range of services from formal classes, to fully qualified nannies, to play groups, all aimed at introducing Chinese from a very early age. The debate about the decline of French as a taught language in British and Spanish schools is a long and bitterly fought one. As a mum of two children who go to a school where German and Chinese are taught but not French, I find myself searching for options to teach my children this beautiful and incredibly useful language. As Robert Lane Greene of The Economist says: “If your interests span the globe, you already know the most useful global language. But if you want another truly global language, there are surprisingly few candidates, and for me French is unquestionably top of the list”. How about learning ceramics in French? Dolores Gage is a ceramic artist based in Madrid who runs workshops for children aged 8+ (and adults) from her studio in Ciudalcampo (A1 km 28). 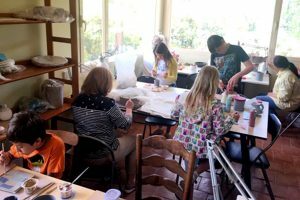 Trilingual French-English-Spanish from birth, Dolores offers children the opportunity to practice French or Spanish whilst also learning how to express themselves creatively through clay. The workshops take place every Saturday during term time, from 17:00-19:00, and participation is termly (€20/class, with the term paid in advance) and can also be on an ad-hoc basis (€25/ad-hoc class). Both prices include all materials (only firing charges extra). Please contact Dolores by email on doloresgageceramics@gmail.com for more details. How about doing themed workshops in French? Pique-nique offer themed artistic workshops for children between 4-8 years old at their studio in Malasaña (calle Espiritu Santo 23). Each workshop costs 20 euros and usually run from 18h to 20h. Forthcoming themes include Halloween, Advent and Christmas workshops. German is a very popular third language for English-Spanish bilingual children. Rastlos language school, based a stone’s throw from the Retiro Park, has a very popular weekend club where children from 5+ learn German through fun, creative activities. 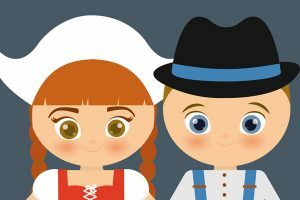 The Rainbow Creative Initiative in Ciempozuelos offers German for children aged 4+ on Friday evenings at 18:30h (for more information, contact Aroa on 649454645). The language school Vorwaerts, based in Montecarmelo, has a special focus on learning German in family. They offer family weekends at their outdoors activity centre an hour out of Madrid. Other service providers include contacting Todo APE and Best Teacher, both offering made-to-measure language options for parents who want their children to learn German from an early age. What other third language options do you seek for your children? Please let us know!